Martin Sommerkorn, who heads up the conservation arm of the World Wildlife Fund’s Arctic Program, says that while we may not know exactly how Arctic marine ecosystems will be altered with climate change, building linked networks of Marine Protected Areas can help them adapt to future climate change. REYKJAVIK – Governments, indigenous leaders and scientists need to lift the discussion of Marine Protected Areas (MPAs) out of the conservation agenda and think of them as a way to develop a sustainable future, says Martin Sommerkorn, head of conservation for the World Wildlife Fund’s Arctic Programme. These networks can add resilience to Arctic ecosystems and allow them to adapt to climate change, but also enable appropriate sustainable use now and into the future. More than half the Arctic is composed of estuaries, coasts and marine waters that support unique and fragile ecosystems. Although 11 percent of the Arctic territory is under some form of protection, there are very few Arctic MPAs. At the Arctic Council ministerial meeting in Iqaluit in April 2015, member states agreed to develop a network of MPAs rooted in scientists’ understanding of marine ecosystems and features, such as estuaries, while taking into account the cultural and subsistence use of fish and marine mammals that inhabit these waters. A well-thought out network of MPAs that protects a broad area of biodiversity in the places most likely to be resistant to change and most important to people and wildlife can help make the Arctic Ocean more resilient to the effects of climate change, and meet the social, cultural and economic needs of the people living in the Arctic, says Sommerkorn. WWF has created a tool called RACER (Rapid Assessment of Circum-Arctic Ecosystem Resilience) that maps places of ecological significance. Arctic nations can add their own layers of information to build the network of MPAs. Arctic Deeply: The United States, as chair of the Arctic Council, has made Marine Protected Areas a priority in the Arctic. 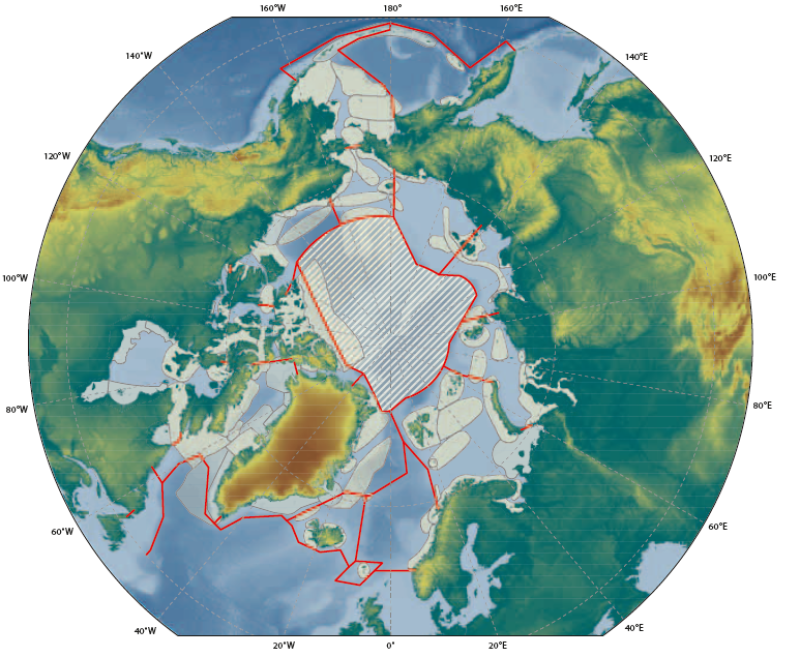 What is the current state of MPAs in the Arctic? Martin Sommerkorn: There are not many. Several countries have MPAs, and some, such as Russia, have quite a number of MPAs, but most of the existing MPAs are very small and they have been determined ad hoc. They were not created to secure global or regional biodiversity under climate change, for example. But most of the countries in the Arctic are party to the Convention on Biological Diversity and have adopted the Aichi Biodiversity Targets, which means that these states are committed to establishing 10 percent of their coastal areas as Marine Protected Areas by 2020. Arctic Deeply: Should these states place a priority on creating MPAs in their Arctic waters as opposed to elsewhere along their coasts? Martin Sommerkorn: There needs to be a consistent approach to MPA identification and implementation, and it has to follow an ecosystem-based approach. There is a real difference in the protected areas in the higher Arctic compared to some of the seas that border the Arctic Ocean. In many of these adjacent areas, we already have some intensive use, such as big fisheries. In many places, we are reacting to overlapping pressures and we should proceed as fast as we can. But in the Arctic we are doing something very different: we are establishing a network of Marine Protected Areas in a proactive way that can preserve biodiversity resilience in the light of rapid change. Change is coming, and there is lots of uncertainty about what these changes will mean to marine ecosystems. But we are using these ecosystems, we will continue to use them and we will probably intensify our use of these ecosystems.These MPA networks are really an insurance mechanism for the future. Arctic Deeply: What benefits can Marine Protected Areas offer to people as well as species in the Arctic? Martin Sommerkorn: There are numerous benefits, especially when done proactively. All over the world, Marine Protected Areas are proven to serve as refugia for species under pressure. New life can spread from them. Marine Protected Areas are not, as they are often perceived, taking something away from use. It’s actually providing a long-term future for that use. We also know that species will be on the move and there will be new species coming into the Arctic from the south. We have to add connectivity to Marine Protected Areas to secure ways for populations to connect between areas that are important to them, such as between habitats or along migration routes. We have a lot of options to safeguard biodiversity without fencing them off. This isn’t just a conservation issue –it’s about safeguarding our joint values as we perceive them coming from that ecosystem or being a part of the ecosystem. Arctic Deeply: Is it a challenge to coordinate the Arctic Council nations to create an effective network? Martin Sommerkorn: Yes, absolutely. But now we have this framework for a pan-Arctic network of Marine Protected Areas that we have established within the Arctic Council. All countries can proceed with establishing their national Marine Protected Areas, but in doing so they should keep in mind a couple of things that require ready cooperation. First of all, here are a number of shared populations. Species, especially in the sea, are not very good at observing country borders – they just don’t think it’s relevant to them, and it’s not. The second thing is that there is a central part of the Arctic Ocean that is not part of any nation’s waters – and, on top of that, it has been identified as a biologically significant area by both the Convention on Biological Diversity and the Arctic Council. That requires more cooperation than we currently have on the Arctic Council because there, all nations really have to come together. The third point is an important one: it is the issue of places in the Arctic that will remain important or have greater importance than they do now, because of the changes in the environment. In the case of polar bears, the ministers of the range states have realized they have to work together to come up with a joint strategy that secures and safeguards the polar bear. Each country can’t do it alone. Arctic Deeply: A recent report highlighted critical gaps in the data on marine mammal species in the Arctic. How do you move forward if there’s information missing? Martin Sommerkorn: Well, we never have enough information. But there is also this: we should never let doing something good stand in the way of doing something perfect. I think we have enough data to start. There is nothing holding us back from starting in those areas. We can start in areas like the Barents Sea or the Bering Sea that have been used for fishing for a long time. People know less about the places that have been covered by ice, because it is expensive and difficult to get to these places. But I don’t think that lack of data, at this point, provides a hurdle for us to start working on MPA networks. Arctic Deeply: What is it about Arctic Marine Protected Areas that drives your interest? Martin Sommerkorn: I’m always very enthusiastic about understanding conservation as a way to secure our future. I think that it is not framed that way often enough. If we develop further – and we will, not only economically, but socially – we have to reconnect to the biosphere. We have to find a way to live as a part of a functioning planet. This is a larger story, but it involves Marine Protected Areas. We are trying to keep the system functioning, so that it continues to supply us with things we need, so that we can live with it and develop with it.